Maroon and white were established for all branches of the Medical Department by the uniform specifications dated October 1916. My guess would be a maroon flag with white fringe, an ANC caduceus embroided in the middle and 'Army Nurse Corps' written below, also in white. I know that each hospital had its own guidon flag (maroon with white letters) but I'm thinking about more general flag designating the Army Nurse Corps as an organization. Hmmm... an interesting question! My first thought is "Officially" they would have carried standard US Army Battalion colors that they were attached to, with the Medical Maroon, with the army eagle with the unit crest on its chest and the Unit designation below. The WAC unit flag shown is not IMO an "Official" USPQMD issue item. Edited by Mr.Jerry, 02 September 2016 - 03:45 AM. I don't have any info on organizational colors, but you have some pretty nice photos! Edited by General Colt, 02 September 2016 - 07:02 AM. Here are a few pics of some Medical guidons and Regimental colors and a "MED" one from an infantry unit. This is a very interesting topic! Great medical colors you are posting! Wow, the one in the middle looks interesting. What's written on the ribbon? Is it two-sided? I don't know if this will help but I found and image of this new AMEDD flag on the Institute of Heraldry's website. I realize this is a new flag and not WWII vintage but I thought it may be of interest to you. Below is a link to TIOH. 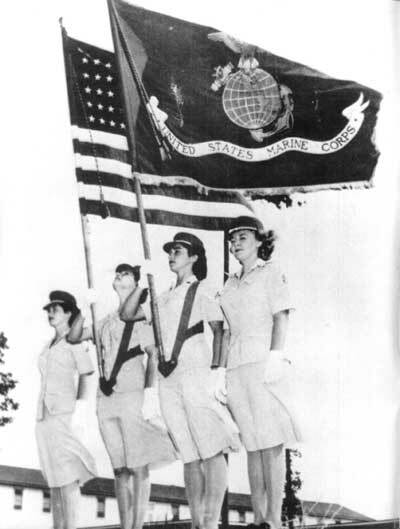 As for WWII vintage Nurse Corps flags I have found no vintage period photos of a Nurse Corps flag but I did find these images of WAC flags at the Army Women's Museum at Ft. Lee web site. I think these flags shown are the type you were referring to branch colors with the branch insignia. 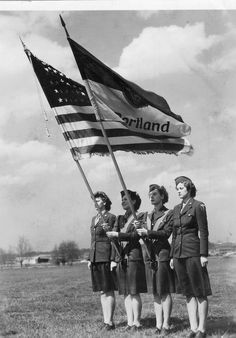 Based on these WAC examples I would imagine that the Army Nurse Corps might have had a similar flag, Maroon & White branch color with the Nurse Corps Caduceus and N branch insignia. But, I don't know where and when such a flag would have been flown or carried. Below is a link to the Army Women's Museum at Ft. Lee. Perhaps you can contact them and ask about the Nurse Corps flag. 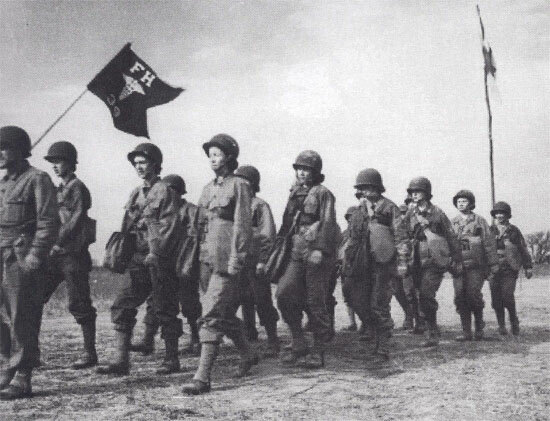 I am not sure there would have been a "Nurse Corps" flag to begin with. Nurses would have been assigned to a medical unit or a facility (hospital). For parade purposes they would have marched as a member of that unit. I think what you might want to research would be the colors of a unit that your nurses to which your nurses would have been assigned. In the book "Dressed for Duty" there is a picture of WWI nurses in a parade after the war. They are carrying some sort of flag but the picture is too small to tell what is on the flag. I wonder if there was a flag designed before WWII. There are unofficial flags, but they would not have been in use during World War II and even today would not be carried in an official ceremony. They are more for esprit de corps.